I visit family on Kauai at least every two years. This December was one of many holiday trips. 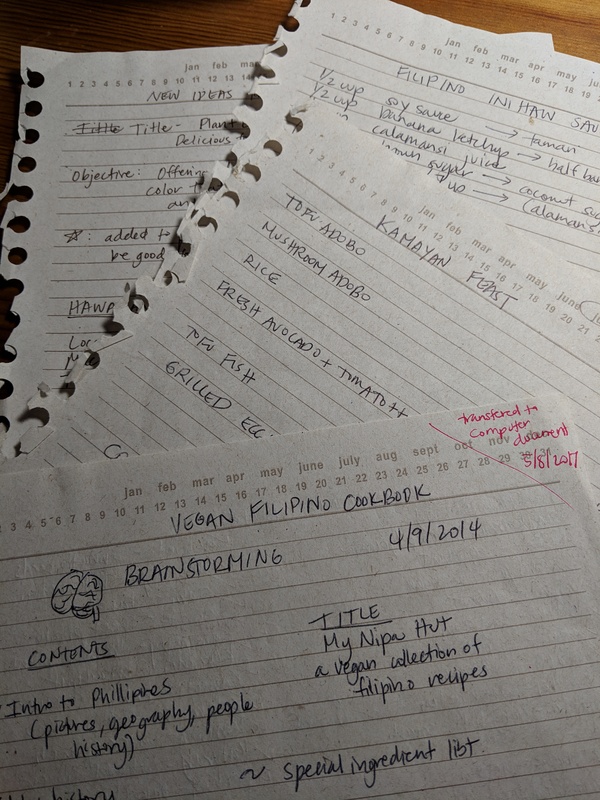 The vegan food scene on the island has changed over the years. There are a few more fast casual options. When we got off the plane we were starving so we researched nearby options and found a local Vietnamese restaurant – Pho Kauai in a strip mall in Lihue. No tourists here and the prices are very affordable. There is a vegetarian section on the menu. Not anything to write home about but the tofu curries we ate hit the spot after getting off the plane. We noticed that Lawai General Store has now become 7-11. No more in-house made cone sushi. 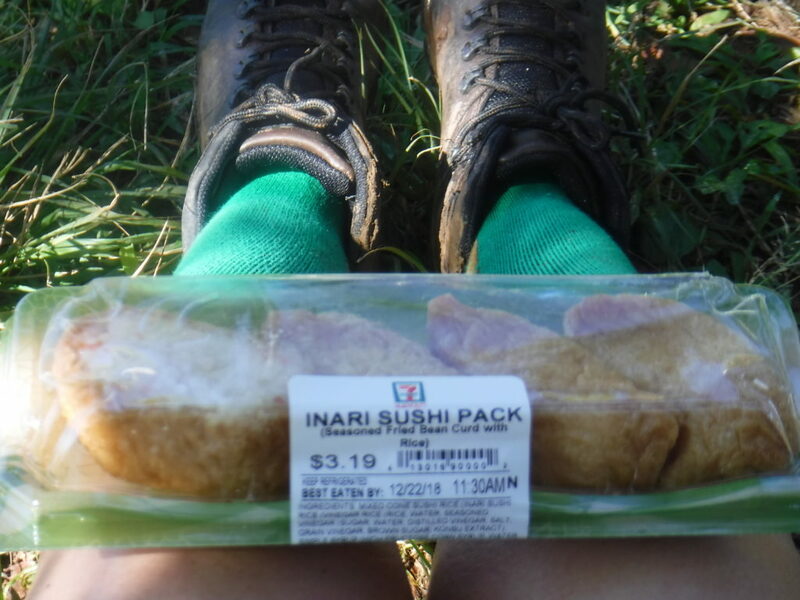 We settled on pre-packaged inari for our hike of Alakai Swamp. 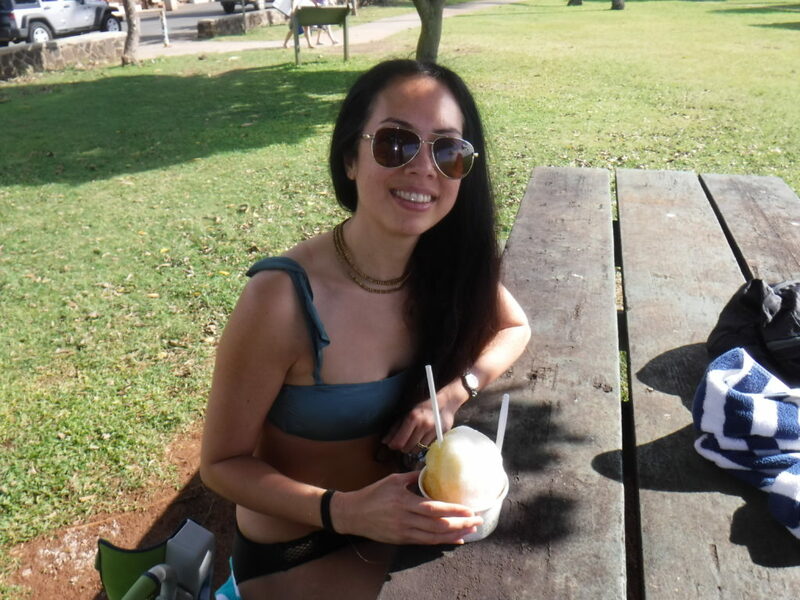 For our numerous trips to Poipu Beach, we would bring food from home or stop by The Shops at Kukui’ula and go to Living Foods to buy some organic snacks. It’s also fun to go to Brenneke’s across from Poipu Beach to get shave ice. Ask for the natural syrups! I had a delightful ginger and lilikoi (passionfruit) one. Just remember in Hawaii it’s shave ice, not shaved ice! I’m still waiting for them to offer a vegan coconut ice cream option. We hang out more on the South Side since my father-in-law lives in Omao. When we have to drive up north, it’s fun to stop at Papaya’s. I’ve been going there for 20 years. They have moved from the shopping center with Safeway to the 1st floor of a building before Hoi Rd if driving north. Traffic in Kapaa is getting to be so bad so make sure you know where to go. Doing a turn around could cause you a very long wait! 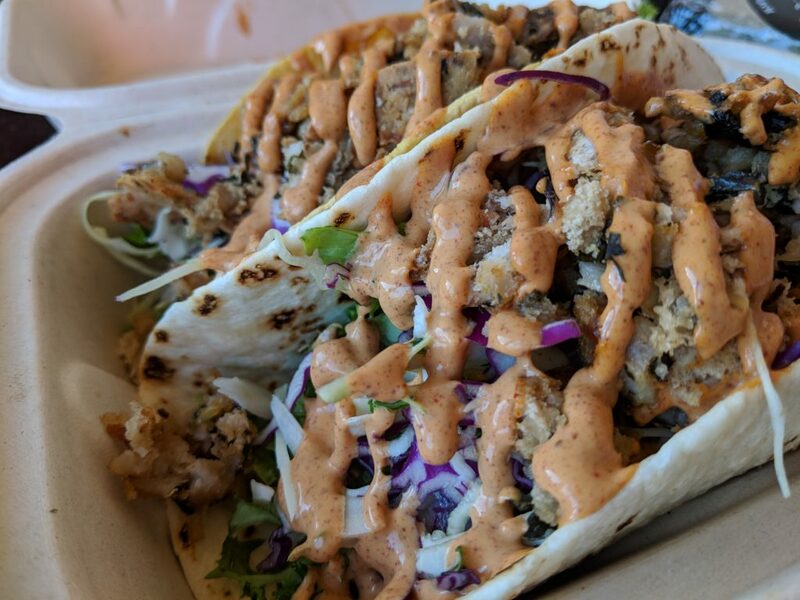 The Kitchen at Papaya’s has some great tacos. They also have a salad bar. The cold cases there are full of to go items, many of them using local tropical items. 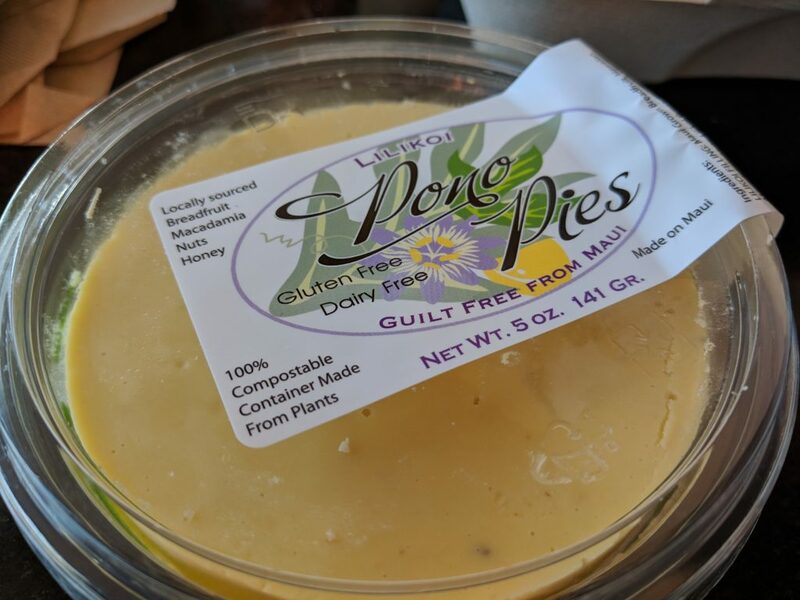 I ate a Pono Pie filled with breadfruit and lilikoi. Can you see a lilikoi theme? I try to eat as much lilikoi while I’m here! My daughter wanted to eat at Puka Dog at lunch one day but the line was just way too long. It’s fun to eat their novel hotdogs but we’ve eaten there several times since they have opened. We decided to sit down and eat at Bangkok Happy Bowl. Ask for the vegan options. The owner explained all the vegan dishes super clearly. The vegetables were super fresh and I love seeing Thai basil flowers on my meal. 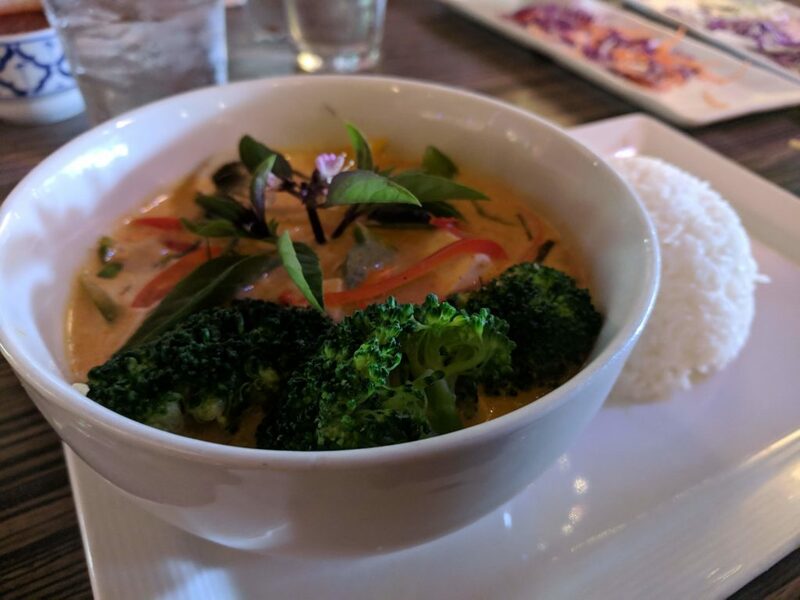 I had the Panang Curry, my daughter had a custom eggplant dish and the Mr. had Pad Thai. Even though it was a bit pricey, it was delicious! Some of the best food is what you can get at the farmer’s markets. I make it a point to always go when I’m on island. The Koloa market is on Mondays at noon near the baseball field in Koloa Town. Bring lots of cash! Things you’ll find: flower arrangements, fresh lettuce, all kinds of local fruit, scallions, sweet potatoes, coconuts to drink, and exotic vegetables like bittermelon. 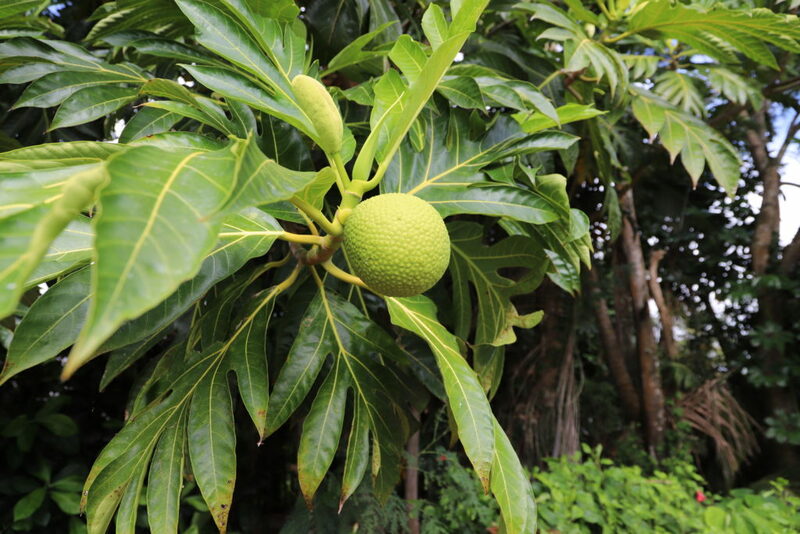 There are some huge breadfruit trees at the end of the parking lot too! Another great market happens on Wednesdays at the Shops at Kukui’ula. Lots of vendors selling handmade foodstuffs and more farmer’s sharing their harvests. 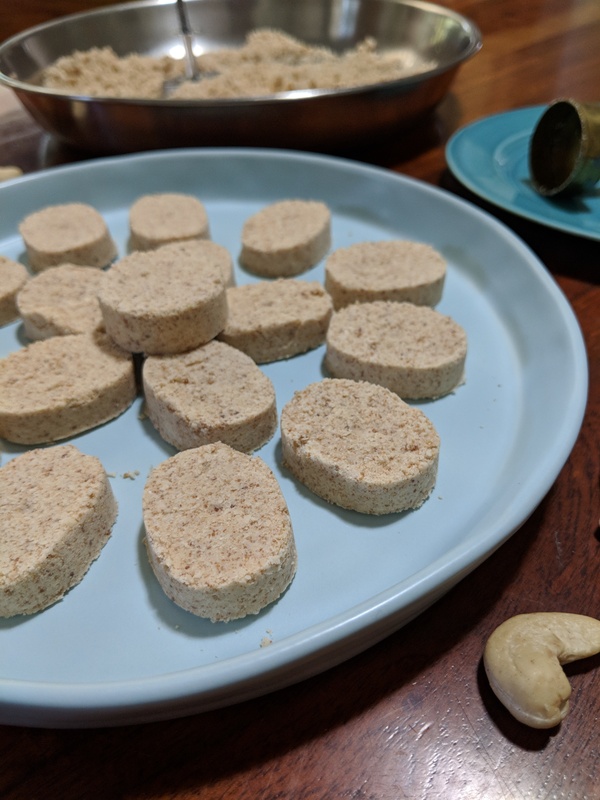 I bought some breadfruit flour from Sustainable Boost and hope to incorporate it in a recipe soon! If you have any questions about eating plant-based on Kauai’s South Shore, send me a message! What’s been your favorite (past or present)?